We are one of the Best Companies in Canada Providing complete Storm Water Management Solutions. Every year tremendous amounts of storm water runoff is flushed down traditional systems, which end up contaminating natural waterways with gross and dissolved pollutants. Atlantis provides viable alternatives that completely replace antiquated systems, providing a sustainable solution with the added benefit of immediate reuse of clean water. This is a major advantage for communities experiencing low rainfall or water restrictions. 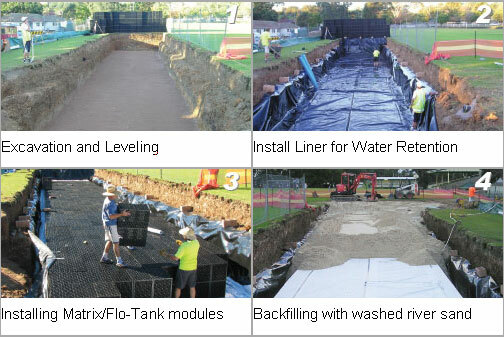 Kasa provides a complete storm water harvesting solution. In conjunction with our partners, we offer storm water filtration, water storage, integrated irrigation system and the purification of storm water.